The North Plains Public Library will implement standard WCCLS fines on North Plains library materials, starting Thursday, September 1st. For details about fines at WCCLS libraries, how to renew your materials online, and more, visit WCCLS' Borrowing Policies page. If you are a North Plains Public Library patron and have any questions, you can call the North Plains Library at (503) 647-5051 or send them an email. Due to a staff in-service, the Sherwood Public Library will be closed until 1:00 PM today, August 19th. Due to server maintenance, wccls.org will be unavailable after 9pm tonight, Thursday, 8/18/11. You won't be able to look up titles, place holds, renew materials, or log into Library2Go. We're very sorry for the inconvenience, but everything should be back to normal first thing Friday morning. Thanks for your patience. 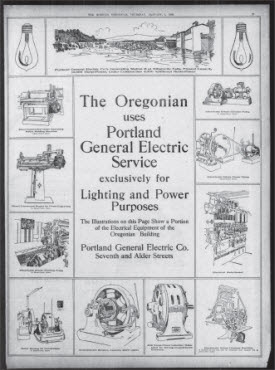 Search and access complete content for historic Oregon newspapers that have been digitized as part of the Oregon Digital Newspaper Program (ODNP). Only titles published before 1922 are included. They are digitized primarily from microfilm. Check out Historic Oregon Newspapers! Fools in Paradise, an eclectic 6-person group performing a variety of music on African instruments, will be the final concert in the Cedar Mill Community Library's Adult Summer Reading Program concert series. They will perform on Thursday, August 11, at 7 PM. The band's traditional Zimbabwean mbira (kalimba) songs will transport you to another time and place. The rousing marimba music from Zimbabwe, South Africa, Ghana and Guinea creates an energetic, danceable sound, while the original material combines African melodies with moving and thought-provoking lyrics. Saxophone, congas, djembe, electric bass kalimba, shakers and vocal harmonies round out the sound. You will love listening to this joyful, upbeat music! Weather permitting, this concert will be held outside the Cedar Mill Library in the plaza near the Libertine Deli. If you can't make the event, find their CD in the WCCLS catalog. Thanks to funding from the Oregon State Library, WCCLS cardholders now have access to two new online resources. GREENR is a new, authoritative online resource that focuses on the academic study of sustainability and the environment. It allows users to navigate issue, organization, and country portals and provides news, video, primary source documents, interactive maps, refereed case studies, and more in research categories such as energy systems, healthcare, food, and green collar jobs. U.S. History in Context is a complete overview of U.S. history that covers the most-studied events, issues, and current information. It includes primary sources, encyclopedia articles, reference sources, and full-text periodicals and journals. If you have questions about using these resources, contact your local librarian. To see all of the online resources that WCCLS offers, visit our Online Resources page.